Every summer we have seen some huge events taking place over the years. Some events are a one off affair, whilst others continue year after year. 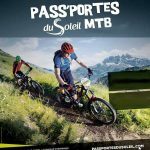 Summer 2019 is set to be huge with the UCI World Championships visiting Les Gets for the first time since 2004, the Passportes du Soleil which will now be in its 16th year, the Reebok Spartan Race in Morzine for the 4th year running, the Trail des Hautes Forts trail running event, Morzine Haut Chablais Granfondo road cycling event, Harley Davidson biannual festival and the Chatel Bike Show… just to mention a few! As well as these big events you’ll find a weekly activity programme in each resort offering a huge selection of different events for all the family. Here is a full list of events that might interest our guests during the summer season. To discover more information just click on the ‘Event Name’. At the beginning of September the mountain roads are shut off and the quiet mountain roads are transformed into a rally track. Over 2 days the rally car drivers will cover over 200kms of roads around this area. Each stage has marked viewing and safe standing areas. It is recommended you arrive early and allow plenty of time to get into position before the stage begins. Once the action starts you are in for a real treat as the cars fly past often getting air. A trail running mountain race linking Morzine to Avoriaz, the Hauts-Forts trail, you will discover the most beautiful views of the Portes du Soleil, around the summit of Hauts-Forts, the highest point of Chablais and the Portes du Soleil. 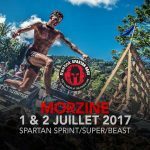 From Morzine, 3 races are offered. They all end in Avoriaz, 1800 m. altitude. The route allows you to cross several passes and summits by circling the Hauts-Forts, traversing the most beautiful trails of the Portes du Soleil: Pléney peaks, Pointe de Nyon, Vallée de la Manche, Lac des Mines d’Or, Col du Cou and the arrete du Vanet, the Col du Fornet, Morzinette etc.. The Morzine Harley Days event takes place in the centre of Morzine with lots of different activity areas including a Custom Bike Show, rides and concerts in the evening. Now a regular biannual event for riders from all over Europe and those who love rock music. Morzine Harley Days will host a fantastic rock concert on the Friday and Saturday nights. This year’s event will be a huge celebration of music, freedom and all things chrome in the perfect setting of Morzine. Four full days dedicated to the Harley-Davidson spirit and legend. This replaced the Chatel Mountain Style competition which was a massive annual Freeride event featuring some of the best riders and sponsors in the world! The event was held on ‘The Face’ trail. This 300 metre decent is more an area to get down than a track. Riders pick their own line over rocks, roots, northshore and steep ground. Watching the competing guys fly down this track over the obstacles and throwing in a few tricks along the way is just amazing! It’s an easy ride over from our chalet to get to ‘The Face’ so if it’s just spectating you’re after it couldn’t be easier to get to. If you’re keen to take on ‘The Face’ we can definitely get you there and we are more than happy to take photos! 1992: French Nationals, opening run of the national circuit. 1993: French Nationals, opening run of the national circuit. 1994: Final French Championships MTB. 1996: UCI Mountain Bike World Cup. 1997: National Trophy for Young Athletes. 1998: UCI Mountain Bike World Cup. 1999: UCI Mountain Bike World Cup. 2000: UCI Mountain Bike World Cup. 2000: National Trophy of Young Cyclists. 2002: UCI Mountain Bike World Cup. 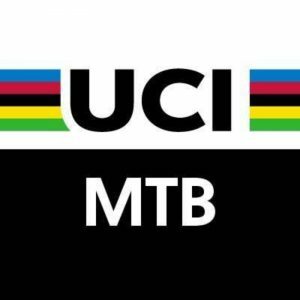 2004: UCI World Mountain Bike Championships. 2010: French Mountain Biking Youth Trophy. 2012: French Mountain Bike Championships. 2016 to 2018: Crankworx World Tour. Les Gets was back on the Mountain bike high profile events calendar in 2012. After playing host to the 2004 World Mountain bike Championships, then the 2010 French Mountain Biking Youth trophy, Les Gets hosted the 2012 French Mountain Bike Championships. Bringing together the very best French Mountain Bike riders, the competition saw the best of the best compete for the title of French Mountain Bike Champion. The event took place in Les Gets in July 2012.